My superpower is helping companies stop the bottleneck within their business. I'm a big firm believer in life balance. Not work/life balance. The quality of life, including work, personal, family, and enjoying it all. This [delegation] is where I say it's okay to be selfish. It's actually okay, you must be selfish. I would have had my systems and processes ironed out from day one. We highly encourage weekly meetings at a minimum. To outsource better I would have had my systems and processes ironed out from day one. My experience with Jaime has been he is a connector, he is a gentleman, and he is very polite and gracious in how he helps businesses and individuals to grow. He challenges himself every day, and he's an amateur hockey player, he's a starter geek who enjoys helping his clients to rediscover themselves and ask their why. Jaime's got lots of experience in the marketing space, in the podcasting space, and we're going to cover a lot of these topics today, but more importantly we're going to dive deep on how to leverage your time, how to consider outsourcing, hiring remote staff, to either help you start a side hustle if you're working someplace else, or if you're an entrepreneur and running your own company, how can you get some help so you can focus on what really matters in terms of driving your business, increasing your sales, and expanding your each? I'd encourage you just to sit back, tune in, listen in, and enjoy the conversation with Jaime. With that said, welcome to the Real Marketing Real Fast podcast, Jaime. 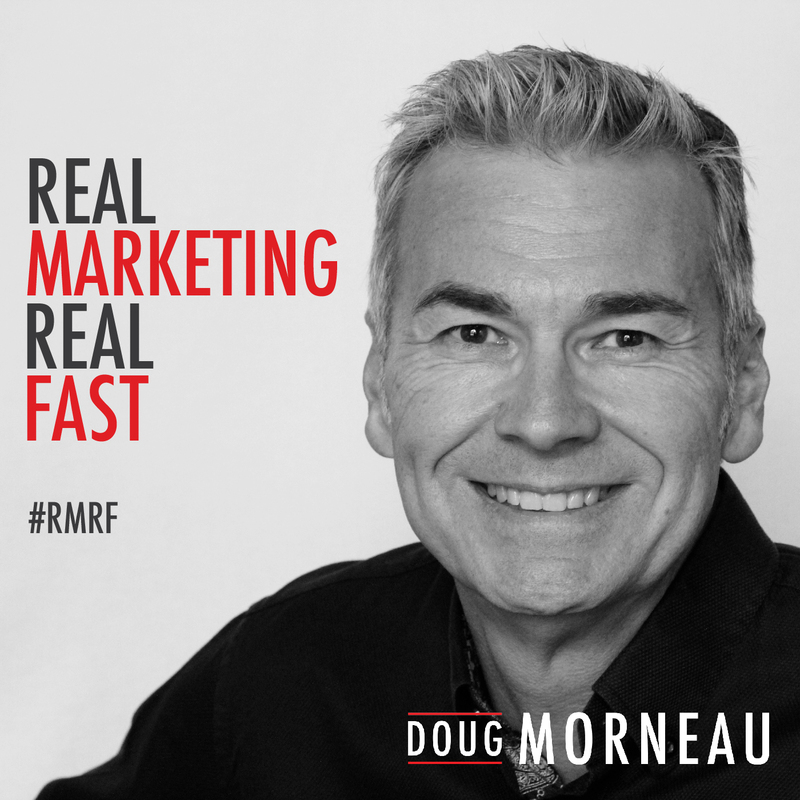 Hey Jaime, I am so excited to have you as my guest today on the Real Marketing podcast, so welcome. Jaime Jay: Thank you so much, Doug. I can't even tell you how excited I am to chat with you today. Doug: Well I mean, we, obviously for our listeners, what you don't know is Jaime and I are in a mastermind, so we get to hang out and do a video call once a week so I was just super excited to hear that he could get me into the schedule and he could join us and share his superpower, so I want to turn it over to you and I want you to tell our listeners, what is your superpower? Jaime Jay: My superpower is helping companies stop the bottleneck within their business. Often times it's you, it's me, it's the business owners that are in the way of our own selves. My superpower is helping people identify that they most likely are the bottleneck in a very, very nice way, and showing them how to remove themselves somewhat and allow for someone to come in and support them so that they can scale the company or do whatever it is they want to do to achieve whatever success means to them. Doug: I like that. I like your approach, because you do it in a nice way, so I'd have to confirm that yes, you are very polite and gentle when you talk to people, and my approach tends to be offensive and a bit more in their face, so I appreciate your gentleness and telling people that's there's a better way to tackle this problem. Doug: Well, there you go. Why don't you explain, so I've had experience with VAs and it's been a good experience, and I've had local staff, so our company's not huge, I think at one point the most local staff we had were 20 full-time staff, and then we got into the remote world, and I have to blame Tim Ferriss on that, because a friend of mine gave me his 4-Hour Workweek book and so it opened up my eyes to something I didn't really know existed for business owners or C level people. I always thought, “Oh, it's the big companies, it's the AT&Ts, and it's the LinkedIns, and the Amazons, and everybody else that's overseas.” Why don't you just explain what that marketplace looks like? Jaime Jay: Yeah. He was the catalyst to a lot of people exploring, he meaning Tim Ferriss, exploring the opportunity of really reducing the number of hours that you work. Before I get into that, if it's okay, I'm a big firm believer in life balance. Not work/life balance. The quality of life, including work, personal, family, and enjoying it all. Yes, there's going to be challenging times, of course, for everybody, but I really believe that the bigger picture of hiring smart and getting support and being okay with delegation really, really improves your quality of life. The goal is for people out there, solopreneurs, business owners, small, medium-sized businesses, the reason that they did this, or at least this has been one of the most feedback that I get from my clients is the reason they started their business was so that they could have a better life. Often times, probably too many times, they start a business and they basically created a job for themselves. This is I think one of the reasons why so many businesses fail, because people just get so sick and tired of what was once an exciting opportunity for them, that has now turned into, “Oh geeze, I have to go into work” or, “Oh, I have to do this.” I hate seeing that, because the world in my opinion, is built on the entrepreneurial spirit. We as business leaders, as business owners, we drive the economy, we give people opportunities to earn an income and now with the onset of the wonderful World Wide Web, continuing to grow and improve, as technology improves, we've moved from a locally based economy to a global economy, and being able to pool the resources on a global level gives us so much more flexibility, opportunity, and allows us to be more of the business leaders that we want to be, unleashes a serious amount of creativity. Because how many times do you stop during the day and just think? Like, this is crazy. I look back a couple of years ago and I was just doing, doing, doing. I wasn't being, being, being, and a lot of that I attribute to just taking some time, every single day, and thinking. My word for the year, I always have a word for the year, I'm working on 2019 right now, as of the date of this recording, but my word of the year was focus. I have an acronym for that, and it's finding opportunities by creating uninterrupted strategy sessions, and if you really break that down, it's taking time to think. Just think about things. Without the luxury and the unbelievable support I have from my team, it would be very hard for me to take a moment just to think. Doug: That's interesting. I don't think we've had that type of discussion before on the podcast. I mean, I do that more now than I've ever done in my life. I mean, we moved to an area where we're in a beautiful setting, so we'll often just go into the yard and the back and sit by the river, and just think. Sometimes I bring a notepad to take notes, and other times I don't. I just go there, and it's just to clear your mind. So now for me, that was the first time that I actually understood that there's so much noise around us all the time, that it's almost impossible to get any thinking time unless you book it and get away and shut everything off. Jaime Jay: It really is. I couldn't agree with you more. That's a great example of this. I think that we get caught up so much in not only the day-to-day, but literally the hour to hour, or the minute to minute. What's next? Answer this email, post that on social media, I've got to make this call, I have this meeting, hey I'm sorry, I've got to run, I've got to do this. It really consumes your life and all of a sudden before you know it, oh my gosh, that life balance has dissipated. I am a huge advocate of trying my darndest to enjoy every aspect of the day, and I said it before, challenges are going to come up, but boy, the difference between having the support that I have now versus before, trying to be everything and do everything, it's night and day difference. I don't need to be focusing on, “Okay, did this image get done and uploaded to the blog? Is this out there on social media?” Of course, I want to manage that and make sure everything's going well, but I get to focus on having conversations with you and doing stuff that really, really gives me energy, and it has just, the freedom that I have now is amazing. I just watched a TED talk earlier by a good friend of mine, Mark Asquith, who talks about the control, having the control. He went to New York for a client meeting, but he owned the company at this point. He got a phone call and immediately he dropped everything, hopped on the plane, went back to England, and got to spend an hour with his grandpa who passed away an hour after he got there. Had he not had the control in his life and the systems in place to be able to have that freedom, he wouldn't have been able to say goodbye to his grandpa. It's things like that that really matter and it's so hard for many people to understand this, but it's truly bigger than what it seems when I go down to the basics and the fundamentals of hiring a virtual assistant or supporting or scaling your business with remote assistants. It really is an eye opener, in my opinion. 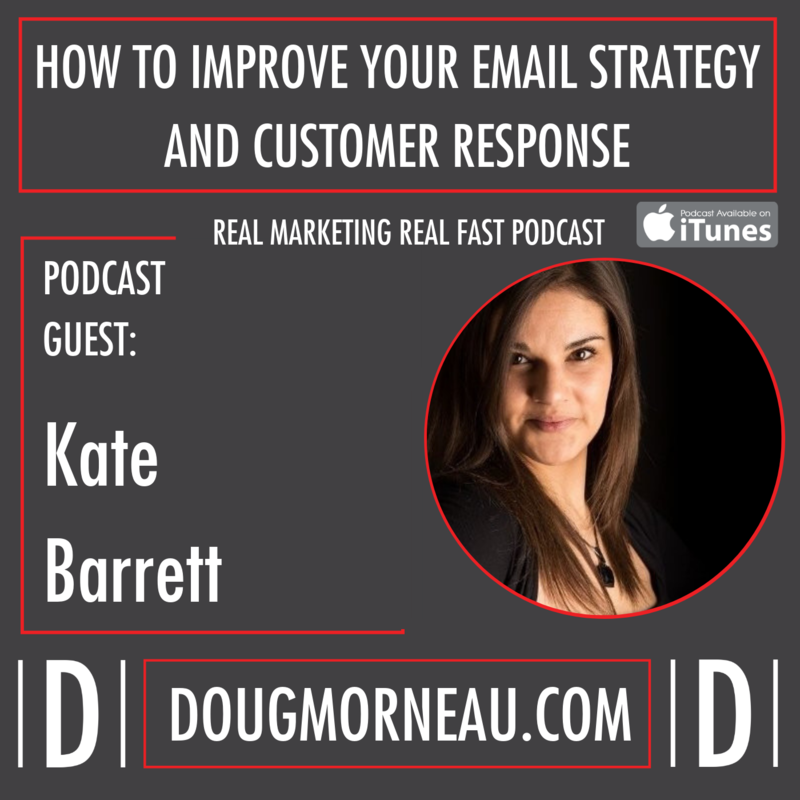 Doug: I think I heard Matthew Kimberley say it really well, we were at a conference with Chris Ducker in London, and Matthew was speaking and he was talking about speaking and his business model and making money. He was saying that it wasn't really focused on the fact that he had the freedom and he had the money. That wasn't the goal, was to build this big wealth. It was being able to make decisions and help people. Like you said, being able to hop on the plane, being able to spend time with a family member or being able to help somebody that's important to you, or just generally help. If we're so busy running around with our hair on fire, we're not looking after like you said, ourselves, physically, I experienced that. You're not looking after your family, so what are you doing it all for? This is where I say it's okay to be selfish. It's actually, you must be selfish. I think selfish in what I'm about to explain is okay, is relevant to what we're speaking about right now. That is how can you possibly help or take care of anybody else if you don't take care of yourself first? I mean, I can use this if I'm talking about bottleneck, I can use this if I'm talking to you and learning from you, and it's all about taking care of yourself first so that you can support others, and support the dreams, and the desires, whatever it is that you want to do. Doug: If you think that your ability to perform your job, whether you're the CEO or you're the CMO, or you're a solopreneur, is dependent on you being in good health physically and mentally, so you can perform, be at peak performance. That's what I do. You're right. It's selfish. It's really not about me posting selfies. It's really about me being able to think and have endurance and have energy, and have a clear mind, so that's why I exercise, not to look a certain way or to whatever, right? I mean, that's a side benefit of being able to go into a store and buy clothes. That's nice to be able to buy them, but that's not the biggest benefit that I see. Jaime Jay: This is a really good question. I struggled with control in the very beginning, and I also struggled with finances in the beginning. I was so scared that if I hired somebody, I wouldn't be able to afford them, and I didn't know how I was actually going to make this work, because I had really never really done it well before, and I had had some challenging experiences in the past. It was very challenging for me and I find out from a lot of my clients, this is one of their main concerns, is can they afford to do this? Getting over that hurdle and just saying, “You know what? Do it.” And just jumping in and doing it really helped me understand. It was a little tight in the beginning, but I learned that when I jumped into it, a little bit early, I was … My goal was, “Okay, I'm going to do this and I'm going to do it for six months and see how it goes.” I gave myself a time limit, but what I didn't do that if I went back in time right now, I would have had my systems and processes ironed out from day one. I would have started. If it's me being a solopreneur, why would I have systems and processes? ‘Cause I'm not ready to hire yet. Well, the biggest lesson I learned was to do something as if it's the last time I'm ever going to do it. That's one of my favorite mantras. Every time I do anything in my business, I write down step-by-step, what it is that I do. When I start something new, I record the process and how I achieved that particular goal or finished that particular task. Obviously, I was a bit kinder, but for the sake of time, “I want it like this, I want it done this way.” They would reply back, “Oh okay, well I apologize, I didn't understand that.” And doggone it, they were totally right. ‘Cause I was just, I have all this stuff in my head, how do you not know this? The best way to maintain not only my brand integrity but my tone and my voice is to write down the step-by-step process and the ways that I do things, and that way their expectation levels are set from the get-go. Then, what I found out which was a big shock to me and a big surprise at the time, not only did they start doing things that I appreciated and my expectations were met, not only that, but they were exceeding my expectations and they were tweaking the processes that I wrote down for the better. So, I was able to learn ways to improve the processes that I was doing, and it completely blew my mind. Once I understood that I was able to start building more and more and more, and of course, challenges come along the way as well, as you well know, as you grow, you discover a new set of challenges, which we recently learned in our mastermind. But it wasn't until I actually pulled the trigger, went through the steps, learned about the experience, and just dedicated my time to improving that process, was I able to achieve the success that I've achieved so far. Doug: Well, let's share with the listeners, because I know what you do and obviously you know what you do, specifically, I mean you're helping people to hire remote VAs. Is that the best way to describe that? Jaime Jay: Exactly. We help stop the bottleneck in your business. Doug: Right. By using a remote staff. Generally, where are the staff that you're hiring? Where are they being hired from, geographically? Jaime Jay: They're getting hired from the Philippines. I've been sourcing from the Philippines since 2006, so as of the time of this recording, a little bit over 12 years. I've just fallen in love with the culture, with their talent, with the level of the respect, and their level of motivation to want to do really good things and the global concept of the ripple effect or giving back. We're able to support so many people and improve lives all over the world. Doug: What's some of the feedback that you hear when you mention this? I'll let you go first because I remember when I said I was going to start that, I got a bunch of feedback immediately from my business peers. We're saying, “Hey, here's an opportunity for you to leverage your time, take the stuff that you're either not good at or the stuff that can be done by somebody else, and give it to somebody else to do, but they're not going to be in your office. You're not going to pay for rent, you're not going to pay for a desk, you're not going to give them a computer, pay for a parking spot and all those other things.” Why don't you just share what you hear? Not necessarily they're correct, but what feedback do you get when you first, when you talk about this in a business setting? What a lot of people don't know is that 100% of all universities in the Philippines are taught in English. We don't hire anybody unless they have a college degree, and then we actually vet our candidates to make sure that they can speak, read, and write English, but also that they comprehend English. This is a big deal. Another thing in the Philippines, there's a bunch of different dialects in the Philippines, so often times Filipinos communicate in English if they don't understand each other's dialect. All the road signs are in English. So if you're looking for somebody that is going to be a client facing, or a writer, or something like that, we have to source for this. But often times people that are looking for more of a technical position, it's amazing how talented the people are in the Philippines. The developers, the web developers, the graphic designers, they have so much talent now. Their English may not be as good, but I'm okay with that 'cause I'm talking with them, they're not talking with my clients. They're not writing my articles or my blogs, or anything like that. They will work in the Philippines, we'll source to say, “Hey, you need to work during 8:00 to 5:00 Central Time,” right? “That's what this job requires. Do you want this job?” I can't tell you the number of people that are available. In the Philippines, there are three shifts. First, second, and third. Which means it covers a 24-hour clock, so they can pretty much work anytime. Those are probably the two main concerns we get right off the top of my head. 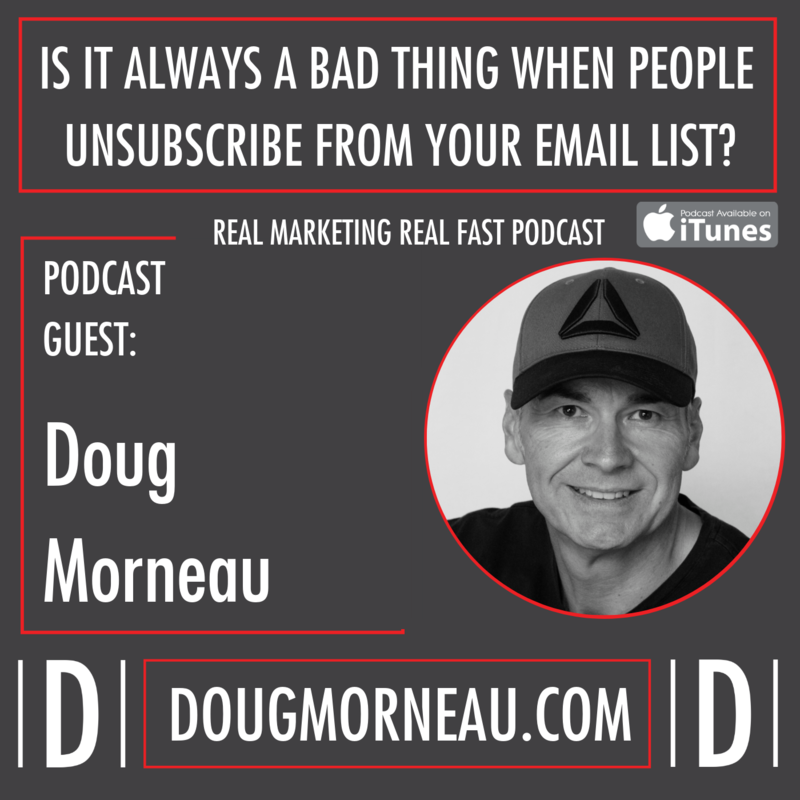 Doug: But I just want to push back on a couple of things, and I know the answers to this, but our listeners might be thinking them and they can't ask you, so big concern, I've got remote staff, how do I know they're working and getting the work done? Doug: I agree. I'm not picking on 'em. I totally agree, but people seem to have some weird idea that if you can't see the person and they're not sitting at their desk, that they're probably not working. Jaime Jay: Exactly. What we do in those cases, we highly encourage weekly meetings at a minimum. I meet with my staff, my entire staff every Tuesday, and then the marketing team, every Thursday. This is part of what we teach in our onboarding portal that we offer every client that comes onboard because we want to help them hire really smart. What is it? Slow to hire, quick to fire, right? Jaime Jay: We build a lot of time upfront and that's why I'm such a huge advocate of this, of really figuring out your systems and processes up front, so that they know exactly, they meaning the VAs, know exactly what's expected of them. Some of the measures that we put in place as the software that we use, it snaps photos, screenshots of their desktop, anywhere from 4 to 27 times an hour. Jaime Jay: Now, we don't send this out every time we invoice. We send out the hours, but we don't send this out, but if they think for some reason, “Wow, they didn't work 40 hours. There's no way. Jaime, can you send me the screenshots?” We'll send them out, the PDF reports, the PDF screenshots of all the times that they were logged in. You can see their screen and what they were working on when they said they were working on them, or claimed to have been working on them. Jaime Jay: Now, there's not 100% foolproof way to prove this, but what we found is the VAs, the virtual assistants that are working, they understand this and they've signed an agreement to this effect that we're monitoring their workflow via screenshots, and it's totally random, 4 to 27 times an hour. They know that they're being monitored, and we send that report out if someone just doesn't believe the hours and they want to see, “Hey, were they really working?” We do have that in place. Doug: And that's fair enough. I mean, you're doing a lot more than I am. I mean, I think as business owners, or even if we're working for another company, you know how long generally it takes to do a task. It's not like you're just throwing darts at a board and you really don't know. I mean, you know that if you're going to post a blog post and load an image, and set up the social media, it's going to take about this much time. You should be able to estimate the time required and then give them instruction. Jaime Jay: Yeah. We do a lot of Zoom. We do a lot of video conferencing where we can share the screen, and often times we meet twice a week with the company and the marketing team, but we also do a lot of individual meetings, especially when we either take on a new client, or we're solving a problem, or if there's questions and we also use project management software. Here, we use Basecamp. We've been through Trello and Redbooth and Asana, so whatever project management software it works best for you, go for it. For us, we really love Basecamp. We have all of our steps in there, we have all of our workflows embedded into Basecamp, and then we have a client facing software that we use called 17hats, and we love that, absolutely love that, because that really takes the onboarding process for our client and really manages that whole process. What's neat about that, too, is that if I do say an initial consultation with a client, and I talk to them and I answer their questions, and they're ready to proceed or move forward, it's at that point that I hand off to our operations manager, and she walks in through the rest of the process, and it is exactly a process. It's a step-by-step, so every time we onboard somebody, we're doing the same steps every time, and that's a lot easier to be able to train and maintain good client relationships from the very get-go. Doug: Yeah, that makes sense. To your point of recording your tasks, I mean, I've found that's been the easiest thing and the biggest win for me is if I'm going to hand off a particular task, like I want to hand off posting my podcast social media stuff, and for that I'm going to use Meet Edgar, all I do is I do a video capture of me going through the process once. Then, you can archive that, because I have to do it anyhow until I can hand it off, so that's my approach. Do it a couple of times so I understand what it is I want, and how I want it to look, and then capture that and then send it off. Doug: I thought you might like that. Actually, you might be pretty close to becoming an honorary Canadian with your enthusiasm for hockey and your politeness. You are so polite. Doug: What sort of tasks? I'm sitting there, thinking, “Fine, sounds good. I could get some help.” What can I expect if I'm going to hire someone? What sort of tasks do you think I can offload or send to or delegate? Jaime Jay: This is a really great question. This is something that is hard to identify because there's so many different tasks, so many different jobs, so many different industries, so many different ways that people lead or operate. What I do and what I recommend is we've created with the help of a good friend, Scott [Bebe 00:27:44], what we call is the delegation roadmap. What the delegation roadmap is, it's a series, take some time with this. You said earlier you are the one that creates the videos, you are the one that makes sure that it happens, and then you delegate it, and that's really important. Too many people are, they look to hire too late, meaning they're up to their neck in chaos and they say, “I'm just going to hire a rockstar and have them all figured out” and then two months down the road, after they spend time hiring and spent money on all of this, it doesn't work out. They say, “They're just terrible.” Well, the challenge is, and I don't know if I really want to say I'm sorry, but to your listeners, it's your fault half the time. It's my fault. Doug: Be blunt, Jaime. It's okay. You don't have to apologize. It's your fault, get your act together and figure … I mean, I was running a million miles an hour, and so was it perfect? No, there are months that went by that I didn't provide instruction, but that's my fault. Jaime Jay: Yeah, it really is, but that goes back to, “Okay, how do I know what tasks to delegate?” That's this delegation roadmap. What we do is I recommend people write down every single task they do in a given day. Now, this is time-consuming, and for me, it's like nails on a chalkboard painful. However, what you do is not only write down every single task but then you assign two values to each of these tasks. The first value is, does this task give you energy or does it not? The second value is, is this something you must do, you have to do, like for instance, Doug, you have to do this interview, right? It's your show. Or, is it something that you can delegate? Well for me, a great example would be my podcast. I have to do that podcast. It's something that I do. Does it give me energy? Heck yeah. I love it. But do I have to do the editing? No. Does it give me energy? No. It drains me of energy. Do I have to do the show notes? Nope. Does it give me energy? No, it does not. What about publishing that or marketing that? Does it give me energy? Well, I have some fun sometimes posting on social media, that gives me energy and stuff, but it's definitely not the high-level details that I need to be paying attention to. I consider that more low-level details. However, as long as I have a person in place or position, to be an editor, who loves editing, and we call him Magic Mike, he is amazing, he loves editing. In his spare time, he practices his editing. He learns new techniques and new … He just loves it, so why not delegate something that somebody else totally loves to do, that I can't stand to do, that would free me up to do the other things that I really like to do? You go through this list, this delegation roadmap, and pretty soon after you've identified all the tasks that don't give you energy, that you do not have to do, that you can delegate to, and guess what? That's step two, it leads you into creating a job role. For people that don't have job roles and responsibilities set before they make their hire, they're making a very big mistake. I've done this before, I paid the price. I know from personal experience how difficult that is to do this after you hire somebody. If you can create this job role, by going through the delegation roadmap and figuring out all the tasks that don't give you energy and that you can delegate, and you have this job role, not only are you ready for this interview to interview the candidates, but they know exactly what's expected of them. Jaime Jay: This is a really good way of helping you to really identify what tasks that you can delegate, and you can put it into blocks, too. Obviously, there's no golden goose role, you're not going to get a supernatural web developer who can also write a blog post for you, that can do sales calls for you. There's really no one like that. But you can at least put it out into blocks and start a little bit by a little bit, doing the things that you just don't want to do. For my personal assistant, she handles my emails. She books my calendar. She makes calls and does research for me. These are things that I just don't have time for that she is unbelievable, and I have to tell you, I did my Enneagram, and the two biggest drawbacks of my personality which is very hard for me to admit, 'cause I don't want to admit this, but this is me, I have a very hard time following up 'cause I forget, because I'm so busy, and the other thing is I'm not very detailed. While it sounds like I love systems and processes, and I do, it's hard for me to get the details down and that's why so many times when I do a workflow, people in my staff, my team, they will improve it tenfold because of a couple of details that I may have missed out on. I just think that's a really good way of identifying the tasks that you can delegate. Doug: Well, a couple of things came to mind as you were sharing that and I think that the only reason that I've been able to continue my podcast is that I've got teams. When I started, I decided very early on that I didn't want to learn how to edit. So that wasn't an option. Didn't have the software, didn't know how had to outsource it. Over the course of this last 14 months that I've been podcasting, I've continued to outsource more and more pieces so now I'm down to inviting the guest that I want to talk to, and then doing the interview, and that's it. There's a process that when we discontinue this call, the files will be uploaded to Dropbox, they will go to the editor, the editor will edit them, they will go out and be transcribed, and that whole process now right down to the social media posting happens without me. It's not a bragging point, it's just if I want to continue the podcast, the only way I can do that is by having a team, because like you said, I don't have the cycles to do this and maintain the rest of my business if I had to do all the steps to get this podcast out. Jaime Jay: I love it. That's a perfect example. One of the things, I do know how to edit. I do know how to write my show notes, SEO, and all that stuff, and I do know how to publish it on the WordPress site, and I do know how to post to social media. It's really good that I understand that, at a basic level, but that's not where I need to be focusing on my business, but it is important for me to understand the process so that I can make sure that whoever I've delegated this to understands what it is that's expected of them. And at the same time, I can also go and make sure if there is something that needs to be tweaked, I can look at that and be able to talk somewhat intelligently to my developer, to the writer, to the editor, and I think that really helps, which goes back to your point earlier. I've done it in the beginning, I did all my own editing and everything, and for me, it was painful. An hour-long podcast interview would take me two or three hours to do all of that other stuff. I'm really glad to have had that experience but I definitely don't want to do it. Doug: Well, and the other thing that came to mind as you were mentioning that is I'm thinking of people that are working for a company and they're a C level executive, and maybe they're super happy with their jobs and that's the goal, so listeners, if that's you, you're happy to be there. What could you delegate that could add value to you with your employer? Could you build up a social media following and become an expert or an icon in your space? You might not have time to do that during the day and your employer may not give you the resources to do that, but you could hire and train a VA to do that, so that would make you more valuable for not only your employer, but maybe an opportunity for someone else to hire you, or if you wanted to set up and start a side hustle, I think you could work a full-time job and run a podcast as long as all you had to do was the half hour or the 40 minute interview, if you could have everybody else do the rest, so it'd be a way to be an easy transition from where you are into something else. Jaime Jay: 100%. A podcast is a great example, but there are so many other things that you can do. You can have a personal assistant to a research, booking travel for you, finding the best, the most inexpensive way to get from point A to point B, to schedule the hotel, to do all of these things that are taking away from building your business, growing your business, talking to clients, talking to prospects. Reports. Reports have a lot of systemization involved in them and it's step-by-step. There's a lot of processes. Anything that you can establish a process for that you do, that is not necessarily client facing, even client facing by all means, if you want to have somebody answer phones for you, there are scripts you could write, there are things that you can do. The next time you have a call and it's a sales call, ask if you can record that call, or set up a recorder and record that call and listen back to it. Listen to what you said and if you got that business, great. That call worked. Use that information and create a script from it. It's basically any way you look at it, podcasting's just a really great example, but it's pretty much limitless as far as what you can do and delegate to help you maintain focus and concentrating on the bottom line or the big picture, the 30,000 foot view, and often times you'll see, you'll go and you'll talk to these really successful CEOs and business leaders, and if you ask them about the details in the business, they have no idea. They have no idea, but they've done a really good job of delegation and their bottom line is green, and they're enjoying their life. Doug: I just want to further just add to your comment earlier about the quality of staff. I think that my experience has been that the work ethic has been great, so listeners if you're wondering, we're going to ask Jamie in a few minutes about where to find 'em, but I can't more highly recommend exploring this as a way to leverage yourself and your business. I've had a great experience. Yes, I've had to release some staff, but I've had to release or let some of my local staff go to other opportunities as well because they weren't a fit. It's no different, but I'm surprised at the level of commitment with my remote staff, my VA staff, in the Philippines, that far exceeds anything I've experienced locally. Jaime Jay: Thank you for saying that. I really appreciate it, because we do get a lot of good feedback and it seems that when people have challenges, what I've found is when I've really dug into what the challenges are, it's because there are systems and processes weren't there. For all the people that have good systems and processes, and have really learned how to delegate well. This is something that I feel needs to be learned over time, but once they get that down, it is life-changing, so I really appreciate you sharing your positive experiences with them. Doug: Yeah, I mean the other thing I shared, and it's kind of tongue in cheek but it's kind of not, and I shared with you before we got on listeners, so I haven't shared this before, but the downside to sometimes having all your staff local is that they see who you are and where you live and what you do. The reason that we started companies or started a business is to grow our business is because we wanted the freedom, we wanted to have the ability to earn more money or to help people or whatever, and I found there's been an advantage of not having all my staff local. I've got friends of mine who are business owners and it sometimes can become an issue with your local staff, if they see, “Hey, you're not in the office all the time.” It's like, “How come I'm in the office all the time? How come you're out doing this? How come you're out doing that?” It's like, well because, for 10 years, I was in the office all the time, so yeah, I don't know. It's an odd thing, there's sometimes a bit of, “The boss makes all the money and I do all the work” but the boss also takes the risk and has put up the investment capital and in some cases, at least in my case, you've lost it all and you've had to start again. That's just the way it goes. Jaime Jay: Yeah, and I think that has a lot to do with culture and how you run the company as a business leader. I mean, even with remote staff, you may get a little bit of that, but I guess the interoffice politics are drastically, drastically reduced. Especially when something doesn't work out and a business leader, unfortunately, has to let someone go. Often times relationships are built in a brick and mortar, and that may cause a little rift within the brick and mortar organization, whereas a remote assistant, if they're dismissed, they're dismissed, and there's really not that rift that may occur walking into the office every day, that strange feeling that one may get. Yeah, I think you nailed on a pretty important aspect of the remote worker, or the virtual assistants. There are so many more added benefits with regards to overall cost and if you fire somebody in the US, there's unemployment, up to six months you could be paying 75% and they're not even there anymore. In the Philippines, you don't have that worry, and I don't say this because I want to see people fired and not have to worry about it, but the level … Again, this goes back to a level of freedom, and something else that you don't have to worry about being a business leader. Doug: We talked a little bit before we got started today, and so I love this question, so I'm looking forward to hearing your answer. What are you most excited about as it relates to your business or what you're working on now, or in the next 6 to 12 months? Jaime Jay: Oh, my gosh. This is super easy. We are in the process of launching a new division and we're not taking it quite live yet, but what we're doing is we're starting a pilot program and the pilot program has been very successful starting out. We're going to be running through the process and I will say it's in the medical industry, so it's a niche within the medical industry, where we're going to be helping out physicians, ultimately improve their quality of life by helping share ways to make their practices more profitable, and way more efficient, and I'm really, really pumped about this one. This is exciting. This goes to show how important it is to niche down. Instead of being so general, niching down on something has really helped us out. We're able to get the verbiage down, we talk to the exact right audience which is a lot smaller, but we're able to really communicate with them in a way that they understand, and we've had so much positive feedback, really no negative feedback at this point, but a lot of really good questions to help us really tweak the service that we're offering. I'm really excited about this next venture. Doug: Yeah, it's been exciting as you've shared in the mastermind, that whole process and how it's winding up. I'm looking at a quote from a friend of yours that I'm going to read, and I'm sure you'll know who it is. “There's a big difference between playing someone else's game and designing your own.” Yeah, I mean do you want to share with our listeners what you're doing in terms of your podcast business and how you're helping this special person grow? Jaime Jay: Sure thing. With the understanding that focus, finding opportunities by creating uninterrupted strategy sessions, I've really honed down and focused this year on the bottleneck. I had another company, I still do, it's called Podcast Pilot, that my girlfriend runs and operates that now, and she's unbelievable what she's done with that company. It allows me to stay focused on the bottleneck but we do have this client, this quote that you mentioned, Christopher Lochhead. He had a podcast called Legends and Losers, and we recently rebranded to Follow Your Different. 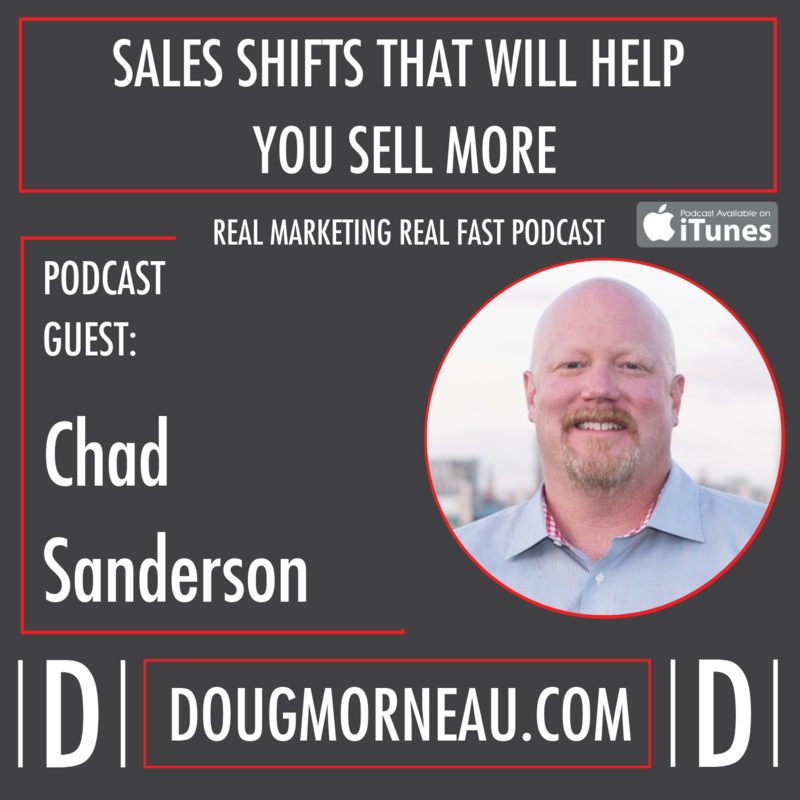 He's also one of the co-authors of an amazing book, Play Bigger, and for the solo entrepreneur, he has another book called Niche Down, and highly recommend reading one or both of those books. They are unbelievable, but we've had such an unbelievable experience with Christopher Lochhead, and we help him, Sarah produces his show, produces his podcast. He doesn't like to say show. Doug: He's not quite as polite as you are then. Jaime Jay: He is definitely direct, but I love him for it. He's become an unbelievably great friend and because of the dedication, our passion for working with him, we've seen these challenges just today, for a podcast to gain mainstream media coverage, that is amazing. Received a call or a message this morning that he recently interviewed the MVP of the NBA Finals for the Golden State Warriors, Andre Iguodala, Iggy, and he interviewed him and they had an incredible conversation. Where else can you get inside the life of an MVP of the NBA Finals? And Christopher did an unbelievable job during that interview, and it got picked up by, oh my gosh, Business News, and Google, and right now if you Google at this day and time, if you Google even Warriors, has nothing to do with podcasting, nothing to do with Christopher, nothing to do with Andre, he pops up first out of 926 million results. This is something to be said, because of the podcasting medium, I think it's still small. It's relatively small. But to gain mainstream exposure like that is unbelievable, and I just can't thank Christopher enough for entrusting us to work with him on this thing. He's amazing, and if anybody wants to listen to another podcast, I don't want to take away Doug's, I love your show, he has a little bit of a different show. I don't know how I can say it, I'm proud of him. I'm glad he's stuck in there and this is a hobby for him. He's retired. This is his hobby and it's just, I have no words. I was talking with you before we got on and how excited I was for him, and it just, CBS Sports, and Yahoo Sports, they're covering a broadcast. It's just amazing. Doug: Yeah, that's absolutely amazing. I mean, you're right, 'cause I can see it on SoundCloud and all the different places, it's all linked on Google. I just wanted you to share that, 'cause you've been working hard, and there's a good example of somebody who's been super successful in business, who's got the resources and retired, has the time to do it, yet he hired help to fill in the blanks and to fill in the pieces that either he doesn't want to do or is not good at. Now you've had your first, well I know it's not an NBA term, but you've had your first Grand Slam with him in that. He's picked up from I'm sure the first of many, knowing the way that you guys work. Jaime Jay: Thank you. Yeah, and thank you for allowing me to talk about that a little bit. ‘Cause I think you're right. I think you nailed it right on the head. This is a great example of outsourcing, finding somebody that really enjoys doing what they want to do, and leveraging their talent and skill so that you can continue to do in this case, Christopher can continue to do what he really loves by having incredible, legendary conversations. Jaime Jay: Yeah. I couldn't agree more. Couldn't agree more. Doug: Mr. Jaime Jay, where is the best place for people to track you down, hunt you down, connect with you and see all the smart and wonderful things that you're doing? Jaime Jay: Well, thank you. Basically, you go to Bottleneck.online. That's pretty much it. I mean, we're all over social media, Facebook, and I think Twitter and I don't know if we're on Twitter anymore or not. To be honest with you, I'm 100% not sure what social media we're on, but we're online. Doug: Okay, you are still on Twitter, I did look you up. You are still there. Jaime Jay: You can do this, though. I'm really proud of this. You can Google, and this is one thing I would suggest people do if they're interested in searching for virtual assistants, is really take your time and research the companies. ‘Cause there's a lot of really good companies out there, and we all do a little bit different, we all have different responsibilities or different areas of expertise. I really recommend that people do that, but if you do happen to go out and Google virtual assistant companies, we will show up first. We were an editor's choice for virtual assistant companies, and so but please take the time to do the research there, and go out and really research and talk with a couple different companies, and find out what it is that they do and how they operate, so that you feel the most comfort you can fill moving forward in this venture. ‘Cause it can be a challenging and scary time. I mean, this is your company, you want to grow it, it's your voice, it's who you are, and I think you want to be best represented and whoever you bring onboard should really buy into your culture, your voice, and your strategies. Doug: That's excellent. Couldn't agree more. Hey listeners, thanks for tuning in. This brings us to a close of another episode of Real Marketing Real Fast. We had a great conversation. I would highly recommend that you do some research. 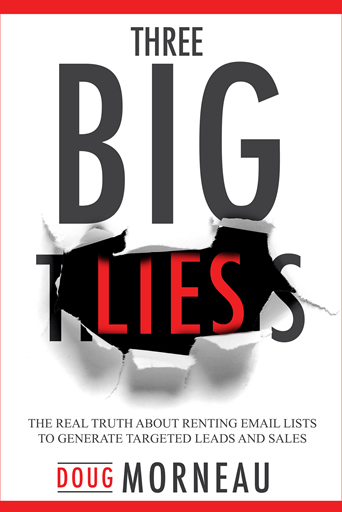 Maybe you want to start by going back and having a read through Tim Ferriss' book, but definitely go take a look at the resources. We're going to transcribe the show notes, we'll have the details there, I'll make sure the links to Jaime's site's there if you can't remember it as you're driving, and listening. But yeah, I've had great experience hiring remote staff, hiring staff in the Philippines and I would encourage you to write a comment, ask a question on the bottom of the show notes, or reach out to Jaime directly. He's a super nice guy as you've heard, so thanks again Jaime for sharing with your audience today. Well, there we go. I look forward to serving you on our next episode.